This spring it's time to switch to a more colourful, energetic colour palette. China Glaze Spring Fling Nail Polish Collection showcases 12 new vibrant hues, a collection that features a full palette of easy-to-wear energetic shades - ranging from low-impact to high-impact pastels all in one collection. Find your perfect hue for chic manicure perfection, with this bright collection for Spring 2017. 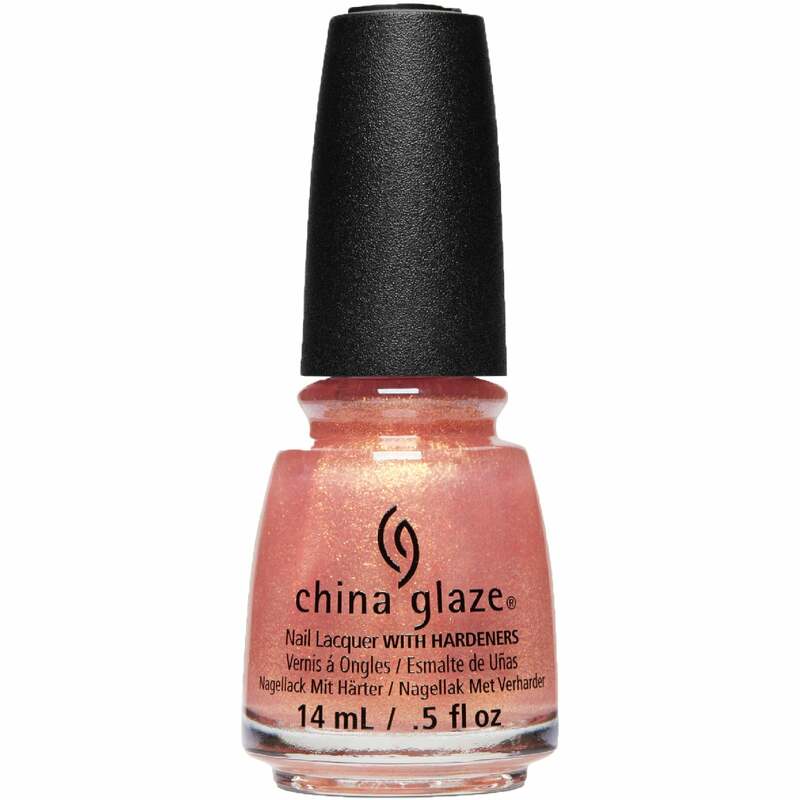 China Glaze nail lacquer in the shade "Sun's Out, Buns Out" is a pastel mermaid pink, with glittery undertones. It's time to switch to a more colourful, energetic palette this Spring 2017! A collection that features 12 new vibrant hues. Long wear nail lacquers that are chip free & flexible. we stock an amazing range of shades and nail accessories from the China Glaze range. With over 300 colours to choose from. Including top selling treatments such as their fast forward top coat.China Glaze polish are very popular within the nail and beauty industry as all China Glaze polishes are free of Harmful Ingredients to nails. China Glaze release some of the most popular nail polish collections throughout the year. we stock over 40 collections so you can be sure to find the collection, shade or nail accessories you are looking for. Official UK based online stockist. Selected EU countries also eligible for delivery from the UK. Buy online today. Showing 2 of our total 3 reviews, with an average rating of 5 stars. Read all 3 reviews for China Glaze Spring Fling Nail Polish Collection 2017 - Sun's Out, Buns Out 14ml (66218).